Canada geese, for me, are symbols of fidelity and territoriality. I see them as forceful, direct birds. 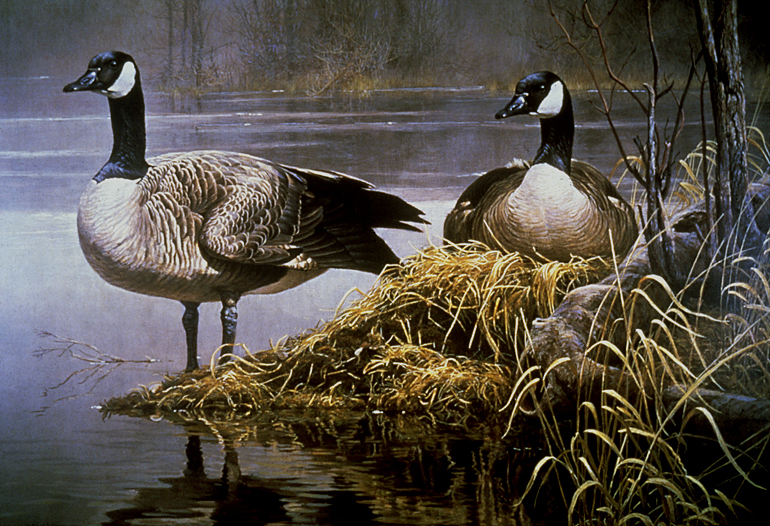 In this painting I was thinking about the bond between the two and have shown the male on guard, watchful and alert and the female on the nest.